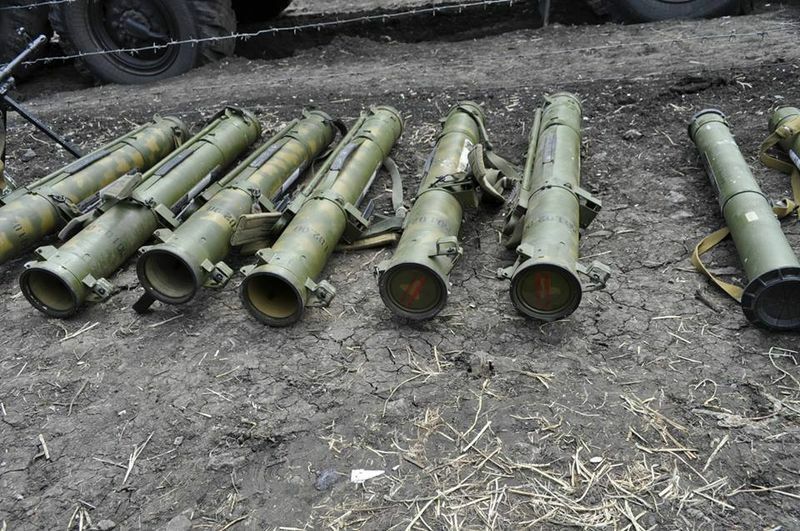 Images emerging from Ukraine following fighting in Ukraine’s Donetsk region on the 25th of May show alleged pro-Russian Ukrainian separatist fighters in possession of Russian-made MRO-A rocket launchers. 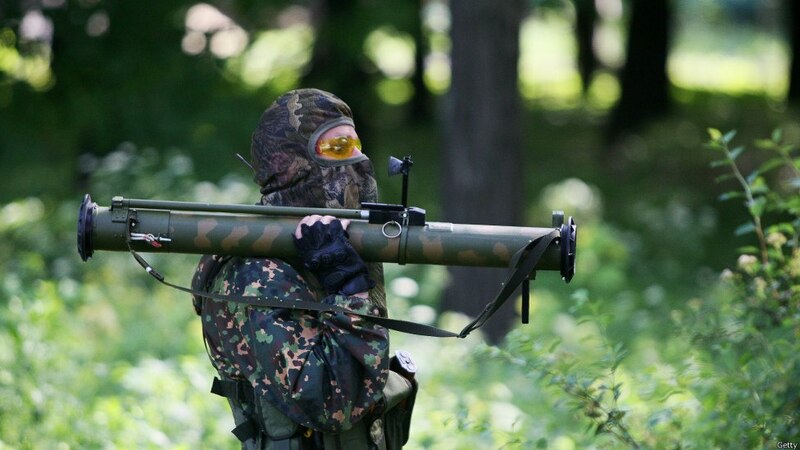 The MRO is a self-contained, disposable single shot 72.5 mm rocket launcher, sharing similarities with the larger, 93 mm RPO family to provide a lighter alternative. 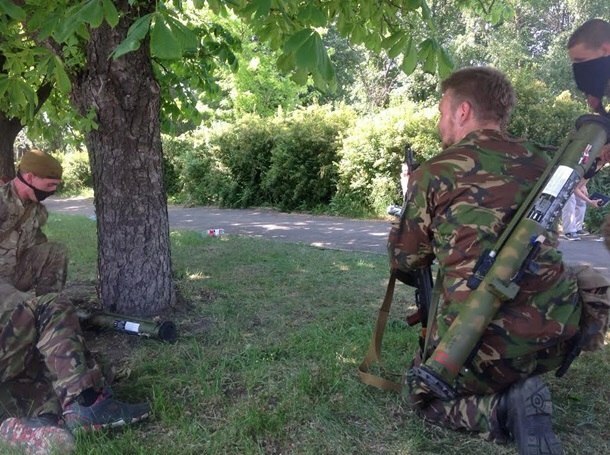 Both the MRO and RPO series weapons have descriptions translated from Russian as “flamethrowers”, referencing the three incendiary-type warhead variants produced. It should be noted that the RPO family are shoulder-fired recoilless weapons, which use an expelling charge to launch their projectile. The MRO-A, as pictured above, carries a thermobaric warhead and is distinguishable by the two short red stripes towards the firing end of the weapon, as seen in the picture above. 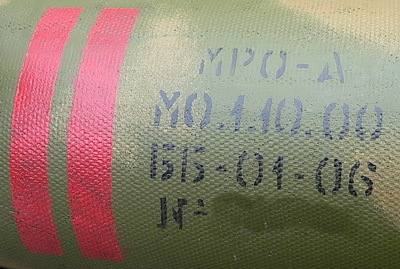 The MRO-D variant carries a white phosphorous (WP) smoke warhead, identifiable by one red stripe, and the MRO-Z an incendiary warhead marked by a single yellow stripe. The RPO series is available in the same variants, featuring the same markings and designations. Special thanks to Ivan Kochin and Yuri Lyamin for their assistance. Header photo courtesy of Foreignpolicy.com. AM VERY INTERESTED IN PARTISAN COMBATS WEAPONS AND TACTICS IMPROV WEAPONS AND LAUNCHERS AS WELL AS NOXIOUS DIY SUBSTANCES !!! THE STINKIEST THE BETTER !! !